Parts are not always in stock at AM General - or we are backordered on inventory due to us from AM General so we try to update the website with known item lead times so customers are aware of when they will be available. When an item has a long lead-time or no ETA we do not allow back-orders to be placed, If a customer wants to place an order for a long lead-time part (unknown due date, 30, 60, 90 days or longer) a non-refundable 25% deposit is required at the time of order with the balance due at time of shipment. Parts are supplied with the intent of not being reverse engineered by the customer or a company for redistribution. Certain items are the last of, hold unique value being AM General specific, or are Hummer H1 & Humvee unique. 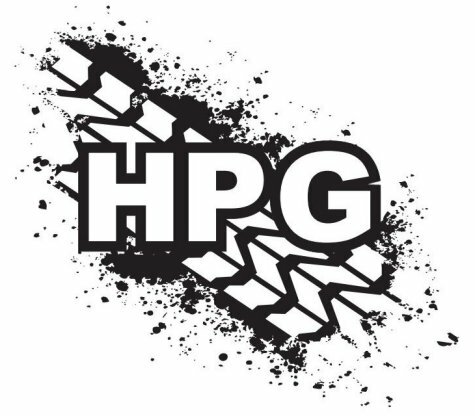 Customer's buying parts just to reverse engineer, knockoff, copy HPG or AM General parts will not be tolerated. If this is found out shipments will be stopped, accounts will be cancelled and the possibility of reporting name, address, contact information to other dealers and AM General for awareness or lawsuits may occur. Parts are supplied for stock H1 and Humvee configurations only. Parts used on modified vehicles IMMEDIATELY void any manufacturer's/suppliers warranty available. Manufacturer Certifications and/or Certificates of Conformance are not provided, these parts are intended for commercial use only. Orders placed with the intention of fulfilling military contracts will not be accepted and parts cannot be returned. There is a mandatory $20 minimum order requirement for orders placed online (before shipping charges are applied) to any order placed. This ensures that the cost of employee labor, cost of goods, box and packing material, etc are accounted for. If an order is placed for less than $20, the difference will be made up with a minimum order surcharge (EXAMPLE: $10 in parts, + $10 SURCHARGE). Hummer Parts Guy attempts to have content accurate and up to date, but errors can occur. Parts, pricing, cross references, images and descriptions are updated periodically. Hummer Parts Guy is not responsible to notify customers regarding changes, additions, pricing and/or removal of parts. Website pricing is applicable only to currently in stock inventory. Images are for representation only DO NOT BUY based on the image - confirm based on part number, things change over time and images do not get updated or possibly show different configurations. Customers are responsible for all taxes, tariffs and assessments against the merchandise. Taxes may include, without limitation, all federal, state, county or municipal sales, use, or other taxes where applicable. No warranties are implied or offered by Hummer Parts Guy. Parts and accessories are sold "as is". Some parts may carry the original manufacturers warranty. Hummer Parts Guy will not be held liable for parts installed by customers. Your receipt of an electronic or other form of order confirmation does not signify our acceptance of your order, nor does it constitute confirmation of our offer to sell. Hummer Parts Guy reserves the right at any time after receipt of your order to accept or decline your order for any reason or to supply less than the quantity you ordered of any item. We will ship your product as it becomes available. Usually, products ship within 24 hours, or by the next business day if your order is received after this time and for orders received on Saturday, Sunday or any major holiday. However, there may be times when the product you have ordered is out-of-stock which will delay fulfilling your order. We will keep you informed of any products that you have ordered that are out-of-stock and unavailable for immediate shipment.